Brace yourself reader, this entry contains some graphic and arousing chicken dismemberment photos. Friends and lovers if you feel like you haven't seen me in awhile, it's because I'm a cold-weather recluse. Why go out when you have a cat and a dead chicken? This chicken literally saved my life. I was seconds away from using a Pizza Hut coupon until I accidentally read the yelp reviews for said Pizza Hut. Apparently everyone who used this coupon had a negative experience. Bummer. I was so looking forward to reliving those Book-It and Fat JJ memories. For most kids, the weekend was a time to have friends sleep over and eat delivery pizza. Since I was fat and gay, I didn't really have much of a social life. When mom and dad went out, I turned to mom's dusty cookbooks for companionship. This relationship with weekend baking has continued into my adult years. Friday nights are best passed alone in your kitchen, only now I cry into a dirty martini instead of generic caffeine-free diet cola. There are few things in this world I love more than home-butchering. 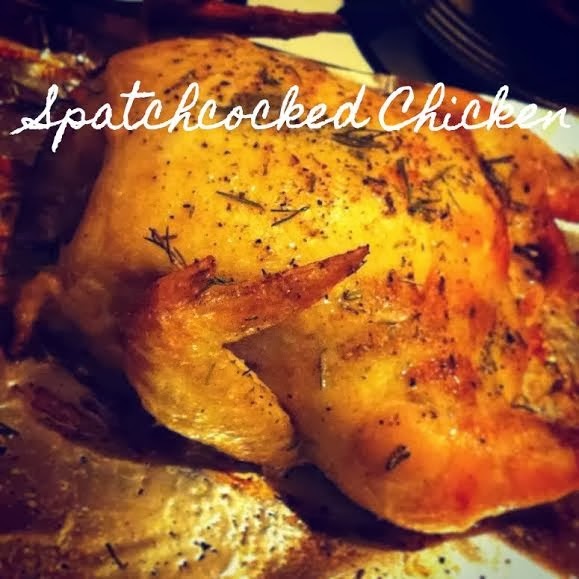 I discovered this method of flat-roasting a chicken via the Smitten Kitchen cookbook. 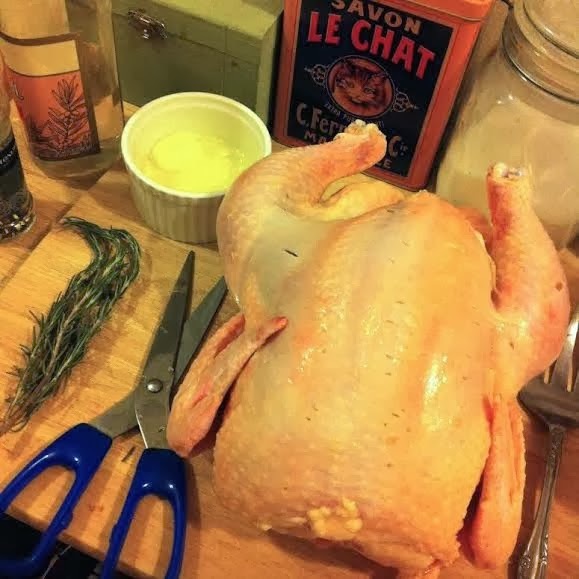 It's unbelievably easy and makes for the best roasted chickens I've ever had. It's quick and easy, but also makes you seem like an amazing cook even though the oven does most if not all of the work. 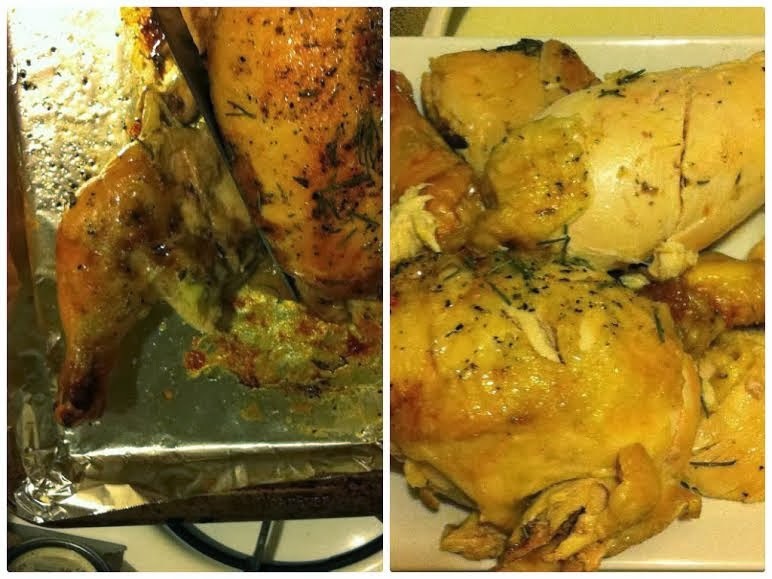 I used to make this once a week with my friend until we realized how sick eating half a chicken each made us feel. Now we only do it once a month. Chefs be warned, if cutting a chicken's backbone out with a pair of kitchen sheers makes you queazy, this is probably not the recipe for you. Personally, I have no problem with it, and I'll gladly come to your house and remove chicken bones from anywhere you put them. Step 1: Oven to 450. 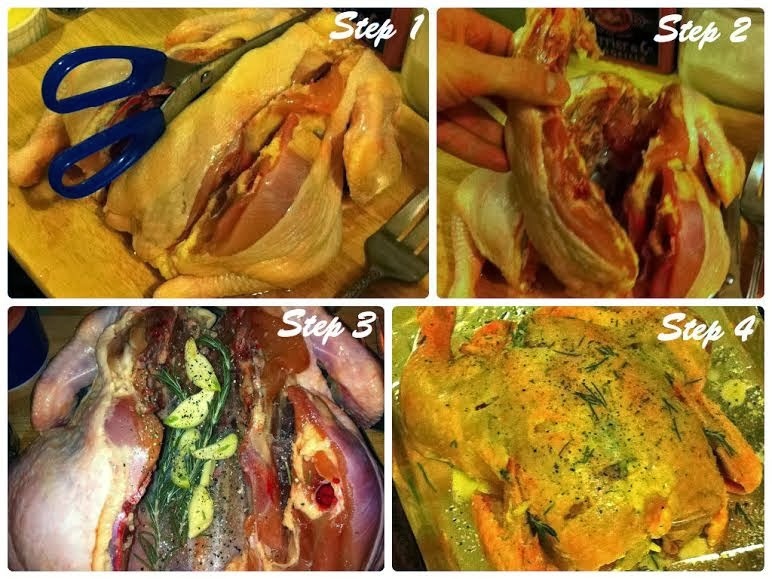 Turn clean chicken onto its breast and find the backbone. Starting at the tail, cut along the backbone with a pair of sturdy kitchen sheers all the way to the neck. Hearing the bones crack is natural and a good indication that you're doing it right. Step 2: Remove backbone, you may have to jimmy it out of there. Line the cavity with rosemary, garlic, olive oil and whatever spices you like. Step 3: Line a baking sheet with foil and sprinkle with olive oil and salt. Place chicken on sheet, breast side up. Cut slits in the skin and push butter beneath. Rub the chicken in a small amount of oil and sprinkle with more seasoning. Step 4: Roast at 450 for about an hour or until a thermometer reads 165. Allow to rest about ten minutes before slicing off limbs and flesh. It falls right off the bone.